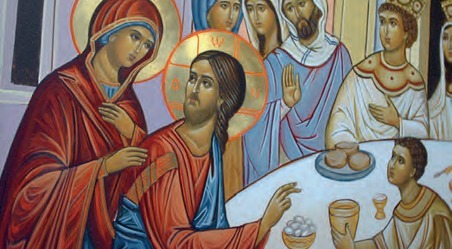 It promises to be the event of Summer 2005: a special congress held in Birmingham devoted to the Eucharist. Three dioceses are clubbing together to sponsor 'Behold the Lamb' a four-day Eucharistic congress this July 14th-17th. Sponsored by Nottingham , Northampton and Birmingham archdiocese the congress will take place at Newman College , Bartley Green, Birmingham . It will feature exciting talks and testimonies given by speakers including the preacher to the papal household, Fr Raniero Cantalamessa, Jesuit writer Fr John Edwards and Bishop McMahon OP of Nottingham . There will also be daily Mass and exposition of the Blessed Sacrament plus study sessions. Separate events will also run throughout the congress in Nottingham , Northampton , and Birmingham including special prayers forBirmingham 's schools at St Chad 's Cathedral, Birmingham on Thursday 14th and Friday 15th July. Archbishop Vincent Nichols of Birmingham will celebrate the opening Mass on July 14. Youth 2000, Diocesan Youth Services, Franciscan Friars of the Renewal, the New Forest Dominican Sisters, the Community of Grace and Sion Community will also be present at the congress which is expected to attract 1,000 delegates a day and is open to anyone who wishes to come. And more good news: to mark the year of the Eucharist Pope John Paul II has granted a plenary indulgence to Catholics who venerate the Blessed Sacrament in 2005. He also granted an indulgence to those reciting the morning and night prayers of the office before the Tabernacle. In a decree signed last Christmas day the Pope writes: "A Plenary Indulgence is granted to all faithful and to each individual faithful under the usual conditions (sacramental confession, Eucharistic communion and prayer in keeping with the intentions of the Supreme Pontiff, with the soul completely removed from attachment to any form of sin), each and every time they participate attentively and piously in a sacred function or a devotional exercise undertaken in honour of the Blessed Sacrament, solemnly exposed andconserved in the tabernacle. "A Plenary Indulgence is also granted, under the aforesaid conditions, to the clergy, to members of Institutes of Consecrated Life and Societies of Apostolic Life, and to other faithful who are by law obliged to recite the Liturgy of the Hours, as well as to those who customarily recite the Divine Office out of pure devotion, each and every time they recite - at the end of the day, in company or in private - Vespers and Night Prayers before the Lord present in the tabernacle. "The faithful who, through illness or other just cause, are unable to visit the Blessed Sacrament of the Eucharist in a church or oratory, may obtain a Plenary Indulgence in their own homes, or wherever they may be because of their ailment, if, ... with the intention of observing the three usual conditions as soon as possible, they make the visit spiritually and with the heart's desire, ... and recite the Our Father and the Creed, adding a pious invocation to Jesus in the Sacrament. 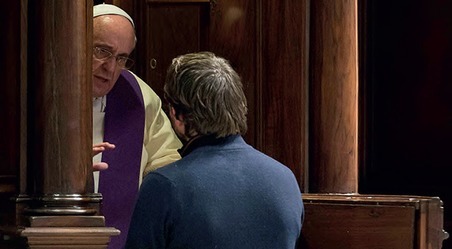 If they are unable to do even this, they will receive a Plenary Indulgence if they unite themselves with interior desire to those who practice the normal conditions laid down for Indulgences, and offer the merciful God the illnesses and discomforts of their lives." We're used - and indeed tired - of hearing condemnations of Pope Pius XII for allegedly ignoring the suffering of the Jews in World War II. But recent news has emerged that casts an original light on the Pope's role in the War. For it appears that Hitler gave one of his generals a direct order to kidnap the Pope. General Karl Wolff refused to obey him, say reports in Italy 's leading Catholic newspaper Avvenire. Details of the plot - codenamed 'Operation Rabat' - were discovered during research necessary for the process of beatification for Pius XII. Originally, 'Operation Rabat' was planned for 1943 but was delayed until the following year, for an unspecified reason. Hitler gave his order to Wolff, a senior Nazi occupation officer in Italy just before the Germans withdrew from Rome . TheAvvenire report suggested that Wolff visited the Vatican at night, dressed in civilian clothes entering with the help of a priest. He then revealed Hitler's orders to the Pope, assuring him he had no intention of personally complying with them but warned Pius XII to 'be careful' as 'the situation is confused and full of risk'. At the time, Italy 's dictator Benito Mussolino had fallen and set up a German-backed puppet regime in North Italy but Allied forces were advancing upon Rome . To test Wolff's good faith, Pope Pius invited him to liberate two Italian resistance leaders condemned to death. Wolff subsequently arranged their release. The Avvenire report has also been backed by information contained in a new book on Hitler's spy chief, Admiral Wilhelm Canaris. Head of the Abwehr orGerman military intelligence, Canaris was a closet anti-Nazi who consistently 'leaked' vital details of German plans to the Allies in World War II according to Hitler's Spy Chief: a Biography of Wilhelm Canaris. The author, Catholic writer and former Times foriegn correspondent Richard Bassett cites minutes from a conversation between Goebbels and Hitler in which the Fuhrer spoke openly of invading the Vatican. He is quoted as saying: "Do you think the Vatican embarrasses me? We'll take that over right away. For one thing the entire diplomatic corps are there. We'll get that bunch of swine out of there... Later we can make apologies." Subsequently, he gave orders to kidnap the Pope and 2,000 SS troops surrounded the Vatican blocking all exits, roads and underground tunnels linkingthe Vatican to Rome . "All that saved the Pope was the belief held by many senior Germans, including Canaris, even Himmler and perhaps eventually Hitler himself, that an un-seized Pope could be useful in a negotiated peace," writes Bassett who devotes several pages of his biography to the Vatican 's attempts in 1943 to forge peace. He claims that Admiral Canaris asked Dr Joseph Mueller to open peace negotiations with Britain via the Vatican and the Pope, though refusing to meet with Abwehr agents passed their proposals to Francis Osborne, Britain 's ambassador to the Holy See and a refugee inside it since 1940. "The Pope, via one of his staff, asked Osborne the significant question, in the context, of whether, if Hitler were overthrown by Germans, there would be a chance of agreement, or whether the formula ofunconditional surrender ruled out such a possibility? Osborne's reply to this question does not appear to be in the British files but it is suggested by subsequent statements by the Vatican that he did not offer outright rejection of the possibility. The British papers unsurprisingly show (so far) nothing of this. But it is clear from Vatican archives and German documents that the plans were again well advanced," suggests Mr Bassett. He also posits that Pius refused to openly condemn the Nazi's Jewish atrocities for fear of not only prompting further violence against them, but also for fear of jeopardising the Vatican's potential role in negotiating a peace deal. The book says: " Vatican documents show the Pope indicated that after a German coup he would be willing to act as amediator between the warring parties and send a special envoy to Berlin , an act which would show to the world that a new start had come to Germany . So keen was the Pope to assume the historic role of mediator that he was not prepared to compromise it by openly denouncing the horrendous persecution of the Jews. As Kessel, the German diplomat assisting Weiszacker in the embassy to the Holy See noted, this fear of burning bridges with the Nazi leadership and therefore losing the chance to broker a peace caused Pius XII daily anguish over the fact of the Jews. The reproaches of Edith Stein, the Jewish convert who became a Carmelite nun, whose letter imploring him to take up the cause of Jewry remains to this day the most eloquent testimony to the challenges facing the Pope's moralleadership, did not go unread. But the Pope was convinced that his public intervention would not save a single Jewish life and that everything had to be sacrificed, in his view, to the greater cause of ending the war and with it the conditions which made the factory slaughter of the innocents possible. His thinly veiled reference to the plight of the Jews had incensed both Hitler and Mussolini." However, the Pope did work to save an estimated seven of Rome 's eight thousand Jews (according to SS figures) on the eve of the Nazi invasion of Rome in September 1944. It's been all change at the Catholic Media Office in Eccleston Square , now devoid of all the staff working there a year ago. Rigorous interviews, Faith readers will recall, were held to assess the suitability of the next head of the Bishops' press office. These included asking candidates to 'act out' possible 'office' scenarios including 'dealing with' staff members fixated 'on a single issue' something thought to be a reference to a member of the press office who had previously been employed by SPUC. In fact he - and the 'acting' head of news Ollie Wilson have now left. Mr Wilson, a slightly eccentric character who does part time stand-up comedy and whose real first name is Christopher (the choice of the more unusual 'Oliver' we are informed came about from people referring to hissupposed resemblance to the actor Oliver Reed) has left to do PR for the British Horse Society. Mr Wilson was too discreet to reveal the reasons for his departure but he and the ex-SPUC colleague are alleged to have departed Eccleston Square due to disagreements with their new boss Robert McLaughlin, a tv-whizz whose great interest is digital television. Mr McLaughlin is determined to assure the Church a niche in some form in the digital television revolution - perhaps on a religious channel, obviously collaborating with other denominations. To this end he has met with EWTN representatives to discuss potential digital tv programmes for the future. Alas, to Mr McLaughlin's surprise Mother Angelica's network showed zero interest in broadcasting a potential chat show featuring Dr RowanWilliams in conversation with Cardinal Cormac Murphy-O'Connor. Mr McLaughlin's commitment to Catholic causes can perhaps be deduced from the fact that he is rumoured to have been ignorant about when precisely Advent began and had to be informed a Sunday or so after the start of the liturgical season. His second in command Mark Alderton shares Mr McLaughlin's television background and - er - minimal knowledge of the Catholic faith. But hope is not lost: Mr McLaughlin has had the sense to employ Josephine Siedlecka, a Catholic journalist who knows her way round the Church and is the founder of that impressive website, Independent Catholic News. A tragedy - the closure of Plater College in Oxford is expected this July after a disastrous inspection report in October damned the quality of resources for students, teaching standards and 'weak' leadership as well as 'significant issues' to do with 'bullying' and racial and sexual abuse. Insiders blame the rapid decline of the institute for higher learning - praised for the high level of teaching in its last inspection report three years ago -on its principal Robert Beckinsale, who is on the record as saying that Plater, an institution founded in 1921 to give the educationally deprived a step up the ladder to university or professional jobs - did 'not do' Catholic social teaching. Ironically, its expertise in teaching the Church's social doctrine was praised by Cardinal Hume at thecollege's 75th anniversary. His opponents accuse Mr Beckinsale of denying Plater's Catholic ethos - something picked up by the inspectors who commented in their report that none of the college advertisements for short courses made mention of its Catholic identity. Unofficially Faith News hears that he at one stage planned to use the chapel as a lecture room and sanctioned the removal of a prominent crucifix from Plater's premises. Is the Archdiocese of Westminster too close to 10 Downing Street ? That is the gossip along the corridors of Westminster since the appointment last Summer of Sir Stephen Wall, a senior Blairite advisor and former British Ambassador directing the press affairs of Cardinal Murphy-O'Connor. Evidence of a growing cosiness between New Labour and the Archdiocese was obvious at the CAFOD Pope Paul VI lecture before Christmas. The speaker was Gordon Brown, Chancellor of the Exchequer and his subject - in a speech laced with reference to the prophet Isiaiah (not for nothing is he a son of the manse) was eradicating global poverty. The Cardinal warmly endorsed his words, assuring him in glowing terms that he had the 'support' of the Catholic community. Those specially invited beforehand to askthe Chancellor questions (is CAFOD taking tips from Opus Dei?) had been carefully selected for their impeccable liberal credentials. One of the first was Fr Rob Esdaile, chaplain of Sussex University , and one Jim O'Keefe, dressed in civvies, until last year the rector of Ushaw College in Durham where he was famed for his unswerving support for issues of Third World Justice. And to prove further the unity of interests between Catholic and Labour, Paul Goggins, a Catholic who is Prisons Minister made a special appearance at a press conference held by the Bishops' in Brixton prison the next morning to launch their new document on prisons: 'A Place of Redemption'. He disagreed with its conclusions but endorsed 'its spirit' and emphasis on values such as justice and mercy. All veryfriendly indeed and presumably nothing to do with the forthcoming elections. And talking of politics brings us on to Ruth Kelly, the new labour minister for Education who has been hounded since the day of her appointment by rumours that she is a member of Opus Dei - something that has been an open secret in Catholic circles for at least the past two years. To the careful observer, one tell-tale sign was evident from descriptions of the intelligent, dynamic Mrs Kelly: the fact that she astounded her political colleagues by managing to complete work on time to and to see her children, a feat of organisational skill that will astonish no Catholic who has close dealings with 'the work' and observed their admirable, almost military precision and talent for never wasting a moment. Perhaps this is necessary given the requirements for 'supernumeraries' (the sectionof members allowed to marry to which Mrs Kelly belongs): as well as daily Mass and recitation of the daily rosary they must do a quarter-hour's spiritual reading daily plus a nightly examination of conscience - a routine of spiritual rigour that is utterly praiseworthy and hopefully an indication of Mrs Kelly's mettle. Regrettably, she has in public said she supports Government policy on stem cell research telling BBC's Today programme: "We have a 10-year science strategy, we have a policy toward stem cell research. I completely accept that that is the Government policy and I stand by it. The position I hold is one I have made absolutely clear, that I am a member of this Government and I will not only stand by the policies of this Government, but also, where I am responsible forimplementing them, I will implement them as well." . Mr John Smeaton, National Director of SPUC, said he was 'deeply disappointed' by Mrs Kelly commenting: "As the Sacred Congregation for the Doctrine of the Faith stated in its note to Catholic politicians - '[T]he lay Catholic's duty [is] to be morally coherent, found within one's conscience, which is one and indivisible. There cannot be two parallel lives in their existence: on the one hand, the so-called 'spiritual life', with its values and demands; and on the other, the so-called 'secular' life, that is, life in a family, at work, in social responsibilities, in the responsibilities of public life and in culture.'" The ‘two masters one God’ dilemma is an age-old one for England 's Catholic politicians. Witness St Thomas More.